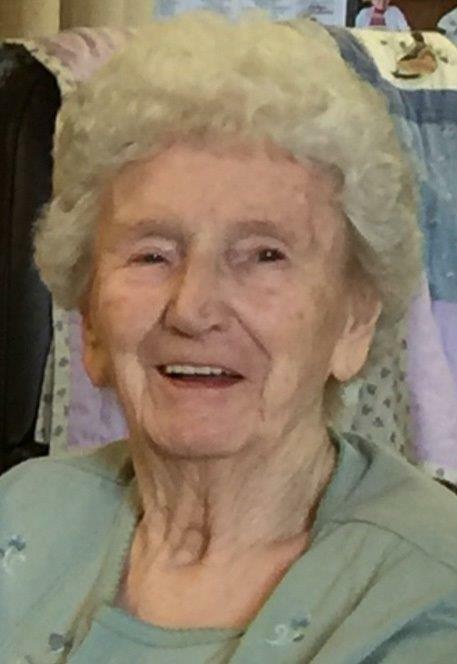 Obituary for Imogene D. (Roberts) "Cookie" Alwine | Feiser Funeral Home, Inc.
Imogene D. “Cookie” (Roberts) Alwine, 94, of Abbottstown, died Tuesday, April 9, 2019 at the Brethren Home Community in New Oxford. She was the wife of the late George R. Alwine, her husband of 75 years, who died December 1, 2016, whom she married in 1944 in Sheakleyville, PA. In her younger years, Cookie was employed with Keystone Ordnance Co. in Hadley. Cookie attended St. John’s Lutheran Church in Abbottstown, and was a member of United Hook & Ladder #33 Ladies Auxiliary. Funeral Services will be held on Friday, April 12, 2019 at 11 AM, at St. John’s Lutheran Church, 100 E. Water St. Abbottstown, with Rev. Shawn Berkebile officiating. Burial will be in the church cemetery. A viewing will be held at the church on Friday, from 10 AM until the time of the service. In lieu of flowers, memorial contributions may be made to United Hook and Ladder Fire Co. #33, 21 N. Bolton St., New Oxford, PA. 17350. Feiser Funeral Home, Inc., 302 Lincolnway West, New Oxford, is in charge of the arrangements. Memories may be shared at www.feiserfuneralhome.com.